I've mentioned this seed provider before, but in the meantime they've changed hands. 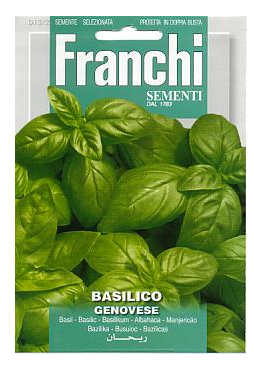 Grow Italian, which sells Italian seeds from Franchi Sementi (established in Italy in 1783) used to be here in the Boston area (Winchester). Now the business has been sold and is based in Kansas. I'm starting my first-ever orto (veggie garden) outside this year. Massachusetts is not the ideal place to grow, what with its short season and unmild weather. I've rented space in a greenhouse and I'm starting out there, from seedlings. So far I've only had herbs in containers, which I've also grown from seeds (some from Grow Italian). I just ordered their catalog today. Check 'em out here.